All the spiritualities are a way of living the Christian life and are distinguished from each other in the aspect of the mystery of the Lord that each one emphasizes in his following. It arises as a loving initiative of God in order to continue his project of salvation in face of the historic necessities of man. By divine will we have been called to participate through Baptism in the common priesthood of the faithful, following Christ, Priest and Victim, in His sacrifice for love, emphasizing His fidelity to the Father and His salvific solidarity with his brothers and sisters. With Mary we offer Him and we offer ourselves with Him to the Father, above all in the Eucharist, to extend the Reign of the Holy Spirit in the salvation of mankind, the sanctification of the Church, especially of priests. In this way, the Heart of Christ may receive consolation for the glory of God the Father. In the process of identification with Christ, the supreme objective of the Spirituality of the Cross lies in the complete transformation in Christ Savior to continue his work for the salvation of mankind. Within this Priestly Spirituality, moved by the Holy Spirit, as members of the Apostleship of the Cross, we contemplate Jesus crucified. We understand the mystery of the Cross and the call to take on the cross in order to follow Him (Lk 9,23). We accept and we offer for love, the suffering because we understand its salvific value if it is lived according to Christ; and we give testimony of this truth with our surrender to the Father and all men. That is why, the Offering of the Incarnate Word is essential to those who live the Spirituality of the Cross. Like any other spiritualities, the Spirituality of the Cross has its motto, its plead of salvation, that encourages its members to follow Jesus, be faithful to his/her mission until the transformation into Jesus. 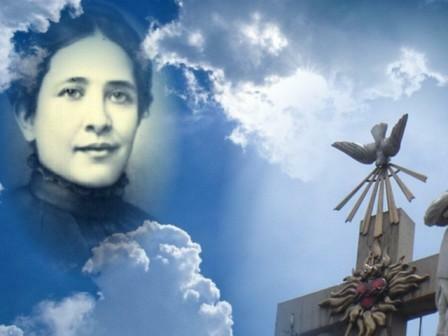 This expression of the Blesssed Concepción Cabrera de Armida, who inspired in the Church the Works of the Cross, has its origin on January 14, 1894. Conchita, as she is affectionately known, writes in her diary this historic moment: "...I felt a supernatural force which threw me, face down, on the floor, my eyes filled with tears and a burning flame within my heart. Vehemently and zealously I then asked the Lord for the salvation of souls: Jesus, savior of all people, save them, save them! "I remember nothing more: souls, souls for Jesus! That was all I desired... The ardor of my soul far surpassed the burning sensation of my body and I experienced an ineffable joy on feeling I belonged wholly to Jesus, just as a branded animal to its owner. Yes indeed. I belonged wholly to Jesus; to my Jesus who will save so many poor souls called to bring Him glory. Enraptured, I spent the rest of the day with an ardent desire of solitude and prayer..." (Aut. 205-206). Christ continues His priestly action through the Church. Only by uniting ourselves to her, can we grow in union with Him, and fruitfully exercise and promote the common priesthood. This commits us to love the Church and be an active part of the Church, taking particular interest in its priests, instruments of Christ’s priestly mediation and servants of the Christian community. Consequently, "nothing that refers to the priesthood must be indifferent to us" (Fr. Félix de Jesús Rougier, M.Sp.S., founder of the missionaries of the Holy Spirit), and the Daughters of the Holy Spirit (1924), the Guadalupan missionaries of the Holy Spirit (1930) and the Oblates of Jesus the Priest (1937). Fr. Felix was declared Venerable on July 1, 2000 by John Paul II). 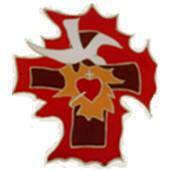 The Cross of the Apostolate, emblem of the Work of the Cross, symbolizes in its diverse elements the spirituality that gives it life.